SUBHEAD: He's a candidate who can tell the difference between the truth and perception management. 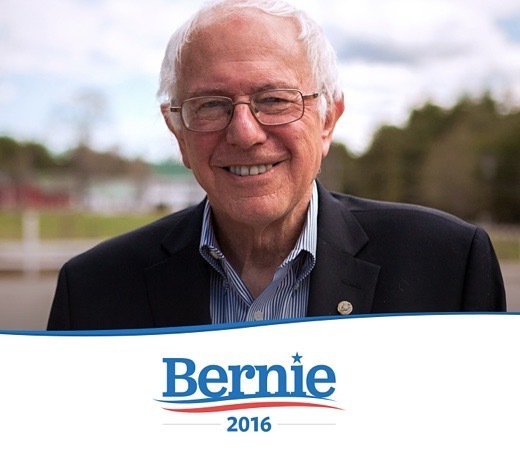 Image above: Bernie Sanders for President 2016 graphic still works for me. From (http://www.huffingtonpost.com/anhvinh-doanvo/lets-talk-about-bernie-sa_b_8023768.html). This reliance on attacking the questioner to delegitimatize what is a legitmate inquiry also disqualifies Hillary. The American public has a legitimate interest in how Hillary Clinton benefited from the Clinton Foundation's hundreds of millions of dollars in contributions from overseas donors during her stint as secretary of state. We don't just need to know whether Hillary suffers from conditions beyond allergies and pneumonia. What counts most is whether she is capable of being honest, forthright and truthful about legitimate, important issues. She has clearly proven that she is incapable of being honest and truthful about anything, very likely because she cannot distinguish between plain, simple truth and perception management. It's time to bring back Bernie Sanders, a candidate who can tell the difference between the truth and perception management, someone who isn't an embarrassment to the nation. I understand that Hillary's coronation as Head of the Deep State has already been scheduled by the Powers That Be, but that doesn't mean we too must lose the ability to differentiate between the truth and perception management.